Original Title: Slå først, Frede! Here’s a strange little film from Denmark that I really enjoyed. 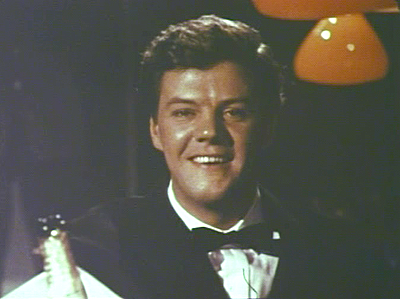 It starts with a novelty salesman, Freddy Hansen (played by Morten Grunwald) on a ferry having his briefcase of party tricks switched for a case containing top secret files by a courier who is trying to evade capture. The villains kill the real courier only to find that the suitcase they have retrieved is full of fake noses and whoopee cushions. Realising their mistake, the villains then turn their attention to the novelty salesman who they believe is actually the real agent. After a failed kidnap attempt by the villains, Hansen is finally brought in by the good guys. 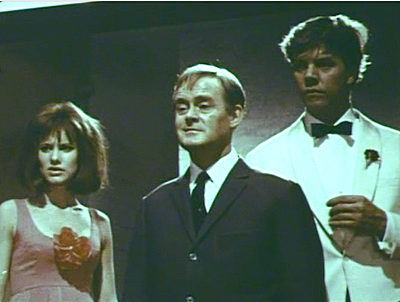 They convince him to work with them as a decoy to bring out the head villain, Dr. Pax (Martin Hansen). He reluctantly agrees and is teamed up with Agent Smith (Ove Sprogoe) who is a genuine Super Agent, in the classic tradition. Hansen and Smith go to Stockholm, where a series of comical attempts on Hansen’s life take place. At first it is Smith, who’s secret agent skills save the day. But as the film progresses and Hansen’s confidence and belief in himself grow, he becomes the dominant action character. The love interest is a character called Sonja (Essy Persson), who is an assassin for Dr. Pax and her mission is to kill Freddy Hansen by dropping a capsule on cyanide into his drink. Hansen also has orders to kill Sonja by dropping a capsule on cyanide into her drink. Instead of killing each other, they join forces much to the chagrin of both sides. As Hansen’s character is a novelty salesman, as you can imagine, many of the gags in the movie are pretty puerile, but strangely they start to win you over (or maybe that’s a sad reflection on my character). 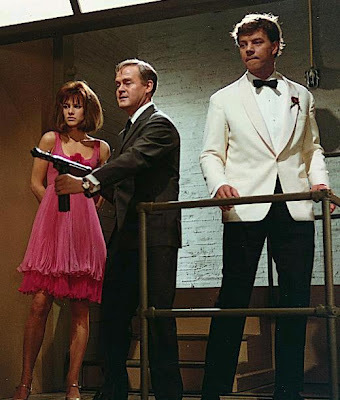 This film is in the vein of a Pink Panther movie, with the mission being completed, and the villains being outwitted by Hansen’s bumbling and unconventional methods. 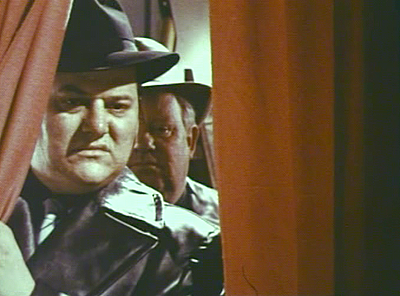 It even has the main henchman, Kolick (Poul Bungaard) developing a twitching eye (as did Herbert Lom’s Chief Inspector Dreyfus in the Pink Panther films) as he continually gets thwarted and frustrated by Hansen. 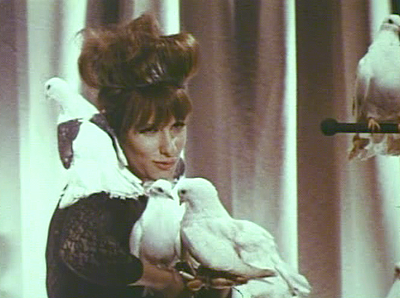 Operation Lovebirds isn’t a high-brow film, but it never pretends to be anything other than what it is. It is a harmless time-killer. 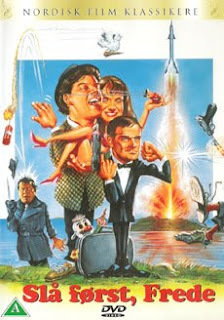 And considering the large amount of poor comedy spy films that are available, you could you a lot worse than spending your time in front of this one. Apparently a sequel was made, but I haven’t been able to track down a copy for review. This review is based on the Shocking Videos DVD. Thanks Iceman. I’ll have to try track it down.